The 2019 NCAA Women's National Championship coach will be presented with a new 2019 Chevrolet Corvette Z06 that she’ll be able to push for a whole year. WACO, Texas — Baylor Lady Bears head coach Kim Mulkey is styling in a brand new Corvette! 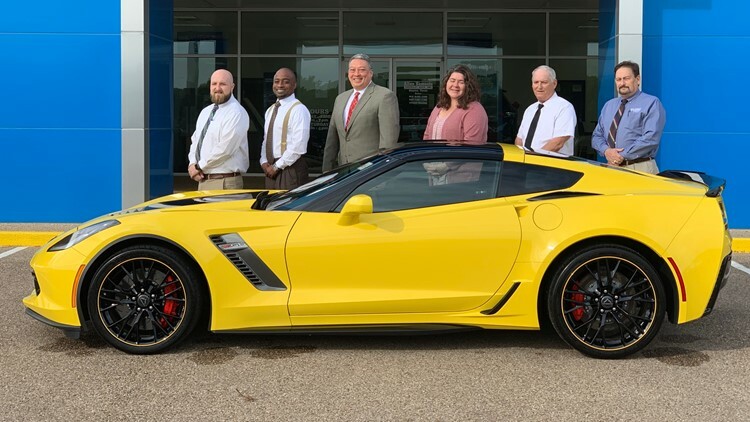 The 2019 NCAA Women's National Championship coach was presented with a new 2019 Chevrolet Corvette Z06 that she’ll be able to push for a year. Allen Samuels Chevrolet Buick GMC car dealership presented Mulkey with the car Monday at the Ferrell Center under the championship sign. Baylor Lady Bears head coach Kim Mulkey will be styling in a brand new Corvette after winning the 2019 NCAA Women's National Championship. She will be presented with the vehicle on April 15, 2019. The presentation of the Corvette continues the tradition after each National Championship victory. The car is considered “one of the most powerful production sports cars in the world,” according to the dealership. It has 650 horsepower and 650-pound feet of torque, it can go from zero to 60 in a mere 3 seconds. The KCEN Channel 6 news team wouldn’t mind a spin in that sweet new ride!